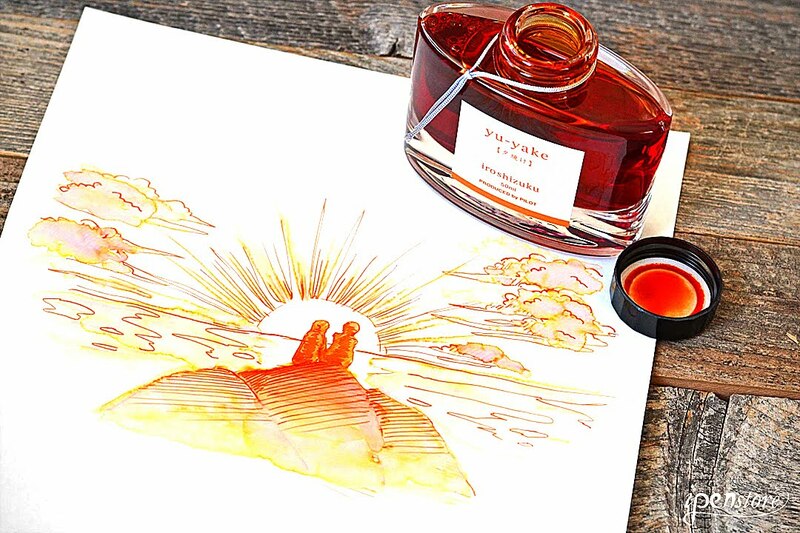 Are you looking for a beautiful orange ink that glows like the sunset over the Caribbean Sea? Look no further than Pilot Iroshizuku Yu-Yake. 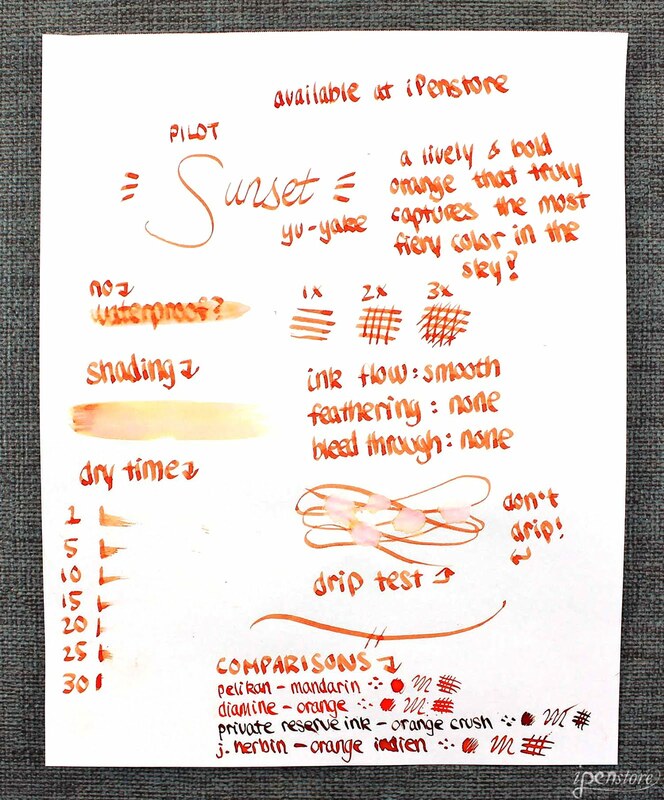 This ink is known for its amazing shading from a dark orange to a bright yellow. This orange is energetic and cheerful! Tiffany, our artist uses a water brush to bring out the different shades of the ink. The ink also has good sheen, and gradation in each stroke. Our testing of the ink revealed a very well behaved ink. No bleed through or feathering on Rhodia paper. The ink isn't water proof and it does take about 20 seconds to thoroughly dry on Rhodia paper. The dry time would be significantly shorter on Field Notes, or regular notebook paper.